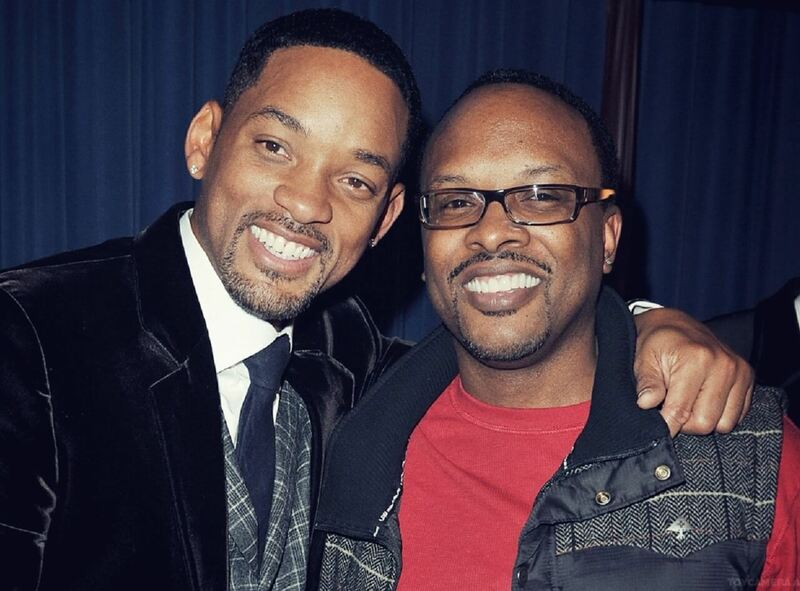 Will Smith & DJ Jazzy Jeff, together and apart, are Hip Hop icons. The duo formed DJ Jazzy Jeff and the Fresh Prince in 1985, and they released a string of hits in the US and worldwide including enduring classics such as “Summertime”, “Girls Ain’t Nothing But Trouble”, “Boom Shake the Room” and “Parents Just Don’t Understand”, which won the first ever Grammy Award for Best Rap Performance in 1989. DJ Jazzy Jeff and the Fresh Prince’s pioneering work was heavily responsible for bringing the then-brand new sounds of Hip Hop to mainstream attention, and helping the genre turn into a genuine pop culture phenomenon. The duo’s efforts were helped by the hit television show The Fresh Prince of Bel Air, which starred Will Smith and DJ Jazzy Jeff as versions of themselves. The show was watched by millions of viewers, and it continues to be a cultural touchstone for the generations who grew up watching it. Now working under his own name, Will Smith pursued a Hollywood acting career throughout the 1990s and 2000s, becoming one of the most well-loved, bankable and charismatic movie stars of all time. He never left music behind either, releasing solo hits like “Gettin’ Jiggy wit It”, “Men In Black” and “Miami”. DJ Jazzy Jeff, meanwhile, established himself as a force to be reckoned with in the music industry, releasing solo music, producing for other artists and helping young Philadelphia talent break through. They each had successful solo careers, but the duo never officially broke up. Will Smith’s 1997 solo album Big Willie Style was still much a collaboration with DJ Jazzy Jeff, whose trademark scratches can be heard throughout the record. After reuniting for one-off live performances in recent decades, Will Smith & DJ Jazzy Jeff are back and available for bookings worldwide. Their million-selling singles and combined solo hits give them a formidable back catalogue to draw upon, and their vibrant youthful energy is still in tact.